All Posts Tagged With: "Make Up For Ever"
Make Up For Ever Fall 2012 Look: BLACK TANGO. Do you love? BTW I love the Make Up For Ever Black Tango Palette (4 waterproof Cream Color Palette). I like the black-purple shade first from left which I like to use as an eye liner. SEE PIC BELOW. My latest must-have makeup find my loves…is the limited edition Make Up For Ever La Boheme Eye Shadow Palette which can be applied dry, or also with a moistened foam tip (which BTW haven’t tried yet because I’m a busy girl and opt for the quicker dry option). The pigment is a bit sheer yet dramatic enough and shimmers. 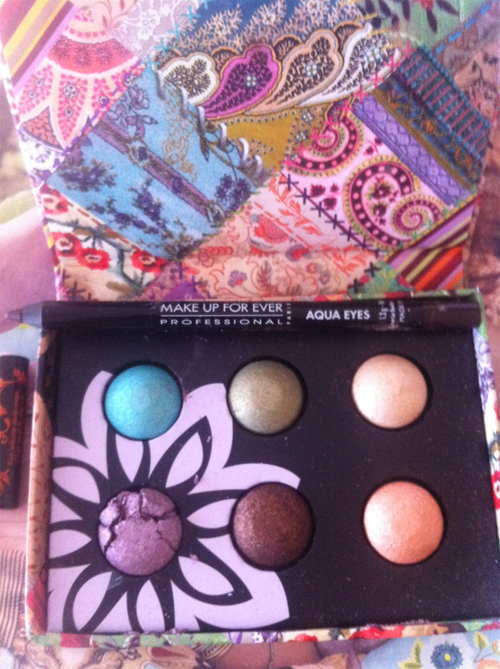 Another great thing about this palette is the all the shades are very practical and wearable and long wearing. My favorite shade so far is the Brown. Make Up For Ever has launched a big initiative, to go along with the Make Up For Ever HD Complexion Starter Kit, on January 2nd. MAKE UP FOR EVER is hosting its first ever open casting call to find the model for their next Unretouched ad campaign. 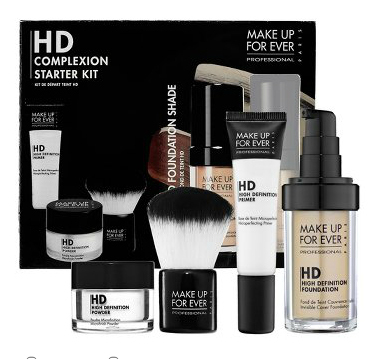 Loving the Make Up For Ever HD Complexion Starter Kit. In fact, I’m loving Make Up For Ever makeup in general lately. The Kabuki Brush is this set is super soft, a must-have. The Microfinish Powder is light and colorless so it just sets your makeup but doesn’t change your foundation color, it’s neutral. I’m a girl all about the eye makeup. This is why I’m super excited about the latest launch from Make Up For Ever. I got to try the NEW Smoky Lash Couleur in # 3 deep brown and NEW Khol Pencil #9k a matte mocha brown. The mascara makes my lashes instantly bold, long, and volume-full. 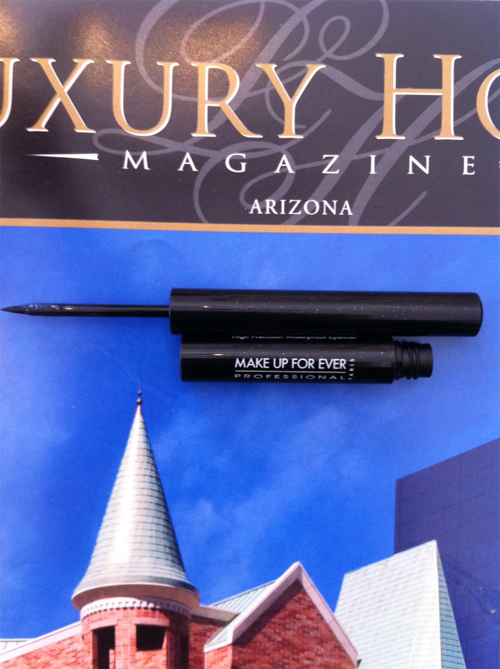 The eye pencil is soft and makes it easy to draw a line thin or more smoky without pulling on the skin. It’s easy to blend. The shade is blackened-brown a nice break from black with a little bit of a softer effect. TM has the sneak peek to last night’s Nicolita show at Mercedes-Benz Fashion Week Swim – Adrienne Bailon walked in the show and looked very pretty with Make Up For Ever makeup. 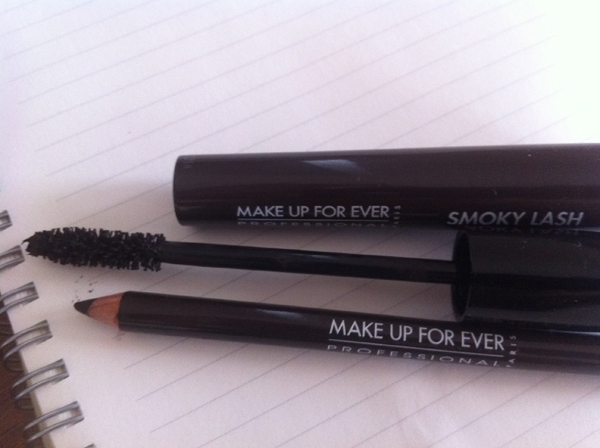 Marta Walsh is impressed with the NEW Aqua Liner by MAKE UP FOR EVER. Perfect for hot summer days when you need your eyeliner outstand humidity and if you’re into a precise liquid eyeliner application. According to Make Up For Ever: ” Aqua Liner is formulated with acrylic copolymer…that forms a flexible film to lock water out. It contains 50% more polymers than traditional eyeliner formulations to ensure a long-lasting, waterproof result, as well as essential amino acids derived from apple juice for high-color intensity and bold pay-off.” $23. Available at Sephora.com, Make Up For ever Boutique & Studio at Sephora from May 2011. NEW YORK, March 16, 2011 /PRNewswire/ — MAKE UP FOR EVER, the Paris based professional make up brand coveted by top industry artists, is launching its first ever print and online make up campaign that has not been digitally retouched (the ads have been certified by a notary public). 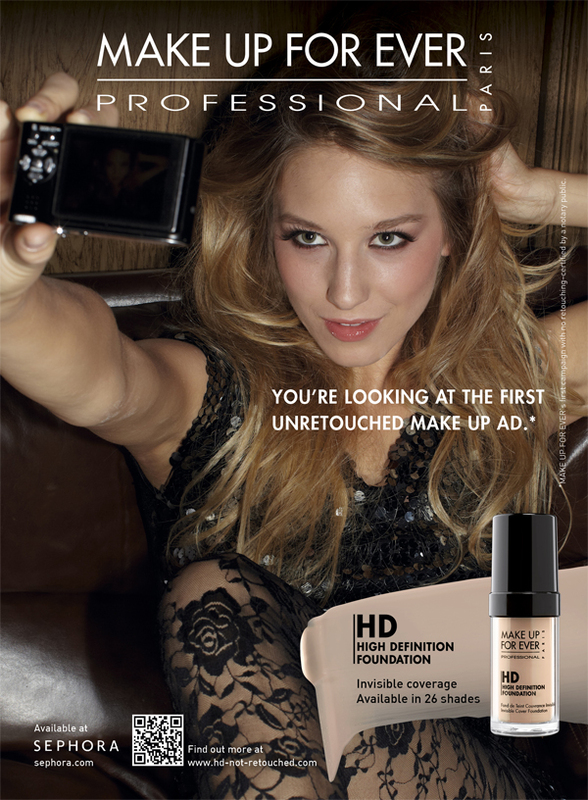 The ad depicts a beautiful woman snapping a photo of herself, highlighting the brand’s HD Invisible Cover Foundation which provides a photo ready finish after every application. HD Invisible Cover Foundation was created to be used in front of unforgiving high definition video cameras and provides results so flawless that the need for retouching has been eliminated. The campaign launches online March 16th, 2011, and will appear this spring in issues of select national magazines. MAKE UP FOR EVER is opening its first-ever Boutique & Studios within three Sephora stores in Soho, NY, Las Vegas, NV (at the Venetian) and Costa Mesa, CA (at South Coast Plaza). The first store, in Soho, is opening today, and last night, September 30th, 2010, they had a star-studded grand opening party with Audrina Patridge, Olivia Palermo, Kelly Bensimon and Dina Manzo in attendance.